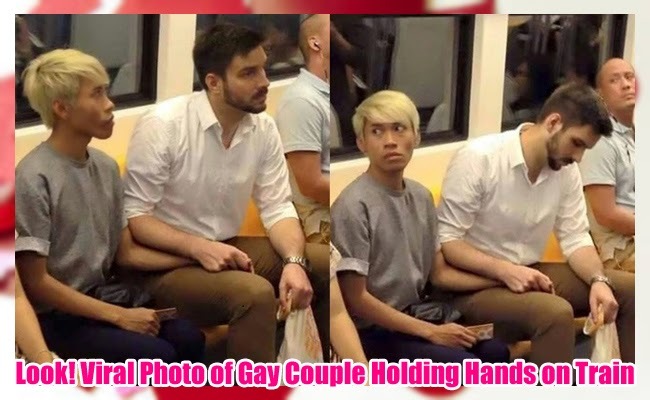 Viral photos of gay couple holding each other’s hands on a subway in Thailand had circulated in Facebook and had gone like a wildfire on April 18, 2015. The photos circulated on Facebook was first uploaded in the account named BV Patrol and various reactions had flooded in. Despite the caption saying that the couple must have support, offensive comments ruched in. In just a day, more than 11,000 people shared the photos. Rude remarks had centered on Keandi’s appearance as many say that he could have just deceived his boyfriend with love potion. A comment said that Keandi’s job is a good way to find good looking models. On the other hand, supportive messages had also been posted. Many say that the photos had shown that true love really exists. They have the right to love each other just like any other person. Some say that judging another person’s appearance is very shallow and love must not be based on how a person looks like. Mid on the other hand learned that their photo as a couple had circulated on Facebook and had gone viral. Other photos of the couple had been reshared. Mid then posted his reactions saying that people should not be jealous and must wait for the right person for them. He even asked those who had written hate comments why they keep on hating as it ia tiring. On their supporters, Mid said that they are incredible and encourages them to believe in true love.